Alan Gilbert, the director of New York Philharmonic, announced about his forthcoming leaving the orchestra in the summer of 2017. That is why his last concerts as conductor of New York Philharmonic continue now. Today’s article dedicated to his leaving and his concert on the 6th of May in the David Geffen Hall in New York. 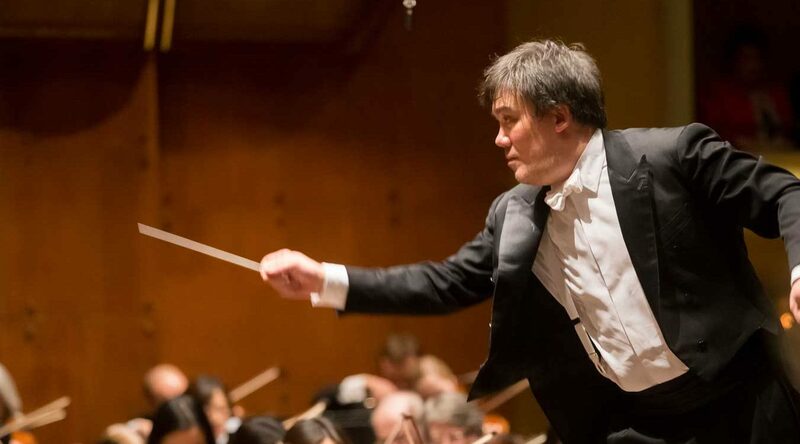 Alan Gilbert became New York Philharmonic Music Director in September 2009. At the same time, he maintains a major international presence, making guest appearances with orchestras including the Berlin Philharmonic, Leipzig Gewandhaus, Royal Concertgebouw, London Symphony, Cleveland, Philadelphia, Boston Symphony, Munich Philharmonic, Dresden Staatskapelle, and Orchestre Philharmonique de Radio France. Gilbert is Conductor Laureate of the Royal Stockholm Philharmonic and former Principal Guest Conductor of the NDR Symphony Orchestra Hamburg. He has led productions for the Metropolitan Opera, Los Angeles Opera, Zurich Opera, Royal Swedish Opera, and Santa Fe Opera, where he served as the first appointed Music Director. In eight years at the New York Philharmonic, Gilbert has succeeded in transforming the 175-year-old institution into a leader on the cultural landscape. He has led staged productions of Ligeti’s Le Grand Macabre, Janácek’s Cunning Little Vixen, Stravinsky’s Petrushka, and Honegger’s Joan of Arc at the Stake to great acclaim, and encouraged the development of two series devoted to contemporary music: CONTACT!, introduced in 2009, and the NY PHIL BIENNIAL, an exploration of today’s music by a wide range of contemporary and modern composers, which was inaugurated in 2014 and returned in 2016. The concert will spend at the David Geffen Hall in the Lincoln Center and the lasts tickets on this unforgettable event cost from $264 for one ticket.